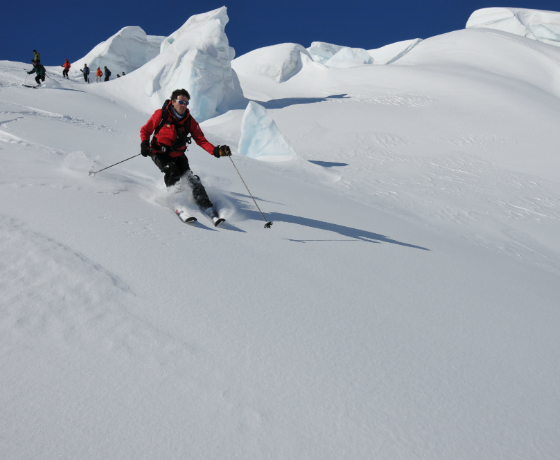 Ski The Tasman is an air-accessed glacier skiing package, professionally guided by Alpine Guides. Every fine winter day Alpine Guides accompany small groups of skiers on this unique ski adventure into the heart of the Southern Alps – Aoraki/Mount Cook National Park. If you can ski blue runs at a ski area (intermediate ability) you can ski the mighty Tasman Glacier. The rental “fat” skis make off-piste easy, even in knee deep powder snow. With us, you’re in good hands. Alpine Guides have been guiding here year-round since 1966. 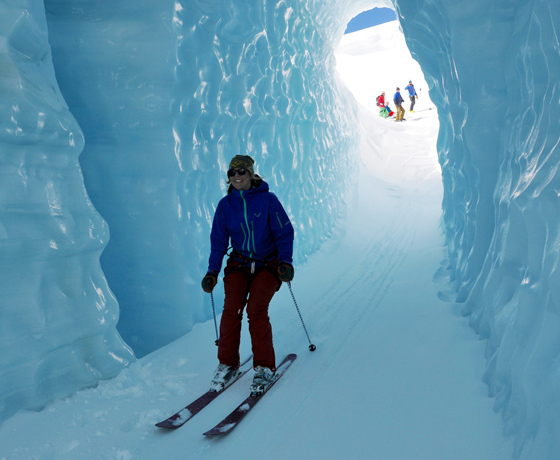 We know the glacier better than anyone and we also provide the region’s avalanche forecasting service. 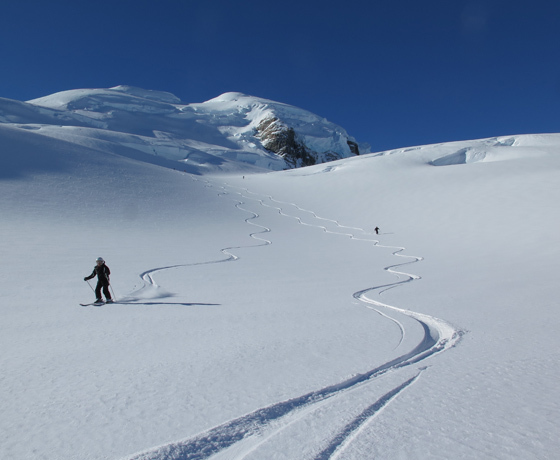 The “standard” Tasman Glacier skiing package includes the 2 longest ski runs in the Southern Hemisphere – from 8 to 10 km long. Mountain flying experts, Mt Cook Ski Planes, provide all flights. 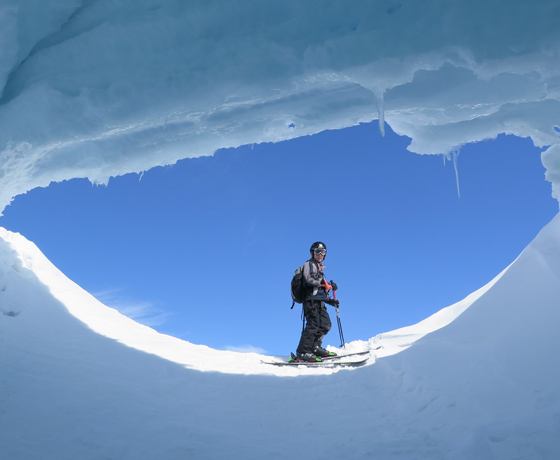 How to find Ski the Tasman? Alpine Guides office is located at 98 Bowen Drive. Drive to Aoraki/Mount Cook Village, turn left onto Bowen Drive. Alpine Guides is opposite the DOC Information Centre.